The New Christs: The term legendary is bandied about a little too frequently for our liking but Sydney’s The New Christs deserve that moniker – No Next Time, Born Out Of Time, We Have Landed – get outta here! 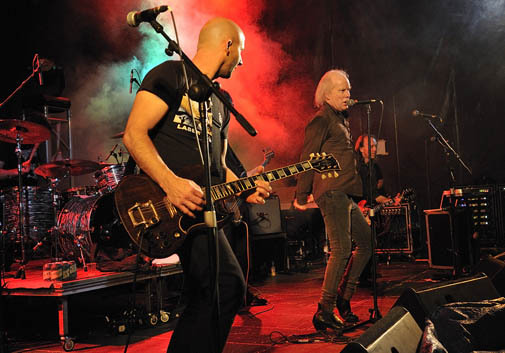 Lead out front by the ghost-like presence of Rob Younger (ex-Radio Birdman. The Other SIde, New Race) and featuring former members of The Passengers, The Celibate Rilfles and Wollongong’s The Dead Set, The New Christs bring some real rock to the roll from a catalogue spanning almost 30 years. Yikes! Melbourne only.